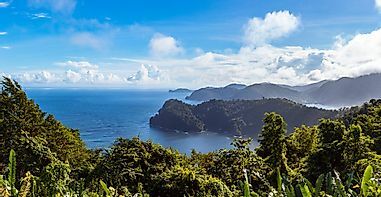 The Lake District, a famous tourism hub in the United Kingdom, hosts numerous water bodies, mountains, and forests, with plenty of scenic views. The etheral beauty of the Lake District in England has served as an inspiration for Lake Poets to pen down poems on nature. The mountainous Lake District is the most naturally enriched region of North-West England which is currently part of the county of Cumbria. Also called the Lakeland or "the Lakes," the region encompasses picturesque lakes, mountains or fells, and forests. The Lake District is also associated with the famous Lake Poets who have described the ethereal beauty of the region in many of their poems. The Lake District region was designated as the Lake District National Park on May 9, 1951. 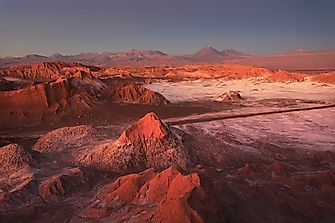 With 15.8 million yearly visitors, it is the most visited national park in the country. The Lake District National Park houses all land in England that has elevation above 3,000 feet, including the highest peak, the Scafell Pike. The Wastwater which is the deepest waterbody in England (maximum depth is 258 feet), and Windermere the largest lake in England (occupying an area of 14.8 square km) are both located in the Lake District National Park. 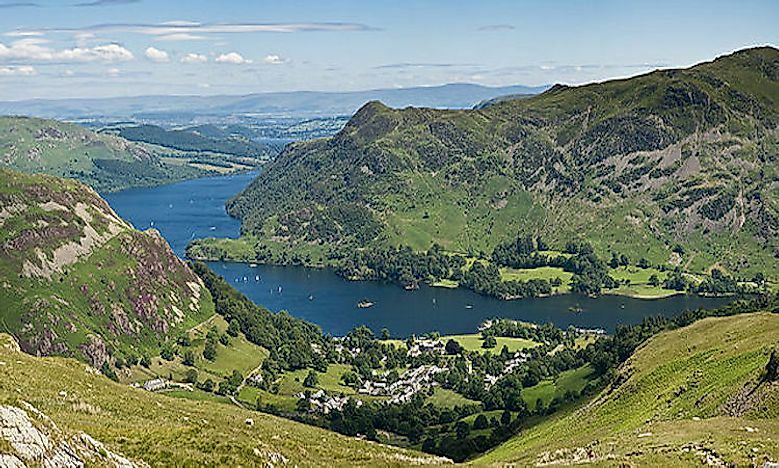 The lakes in the Lake District do not only add to the scenic beauty of the landscape of the Lake District National Park but also play major roles in influencing the lives of the residents of the region. 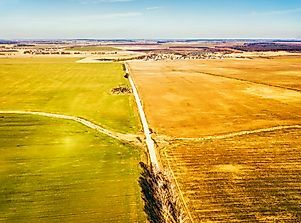 The drainage area of many of these lakes serves as fertile land that supports agricultural activities. Fishing in the lake supplies food to the people and is also a source of livelihood for many. 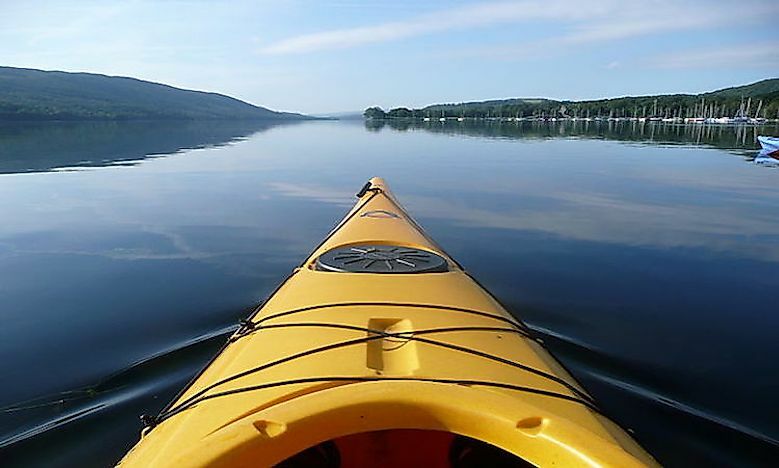 The lakes provide ideal recreational areas and activities like canoeing, angling kayaking, speed-boating, sailing, nature-walking, etc. The high tourist footfall in the Lake District region thus adds to the income of the country’s tourism industry. The lakes in the Lake District also support wild flora and fauna including a large number of birds. Birdwatchers and photographers are thus attracted to the region in large numbers. Residents of England build their summer homes near the lakes to enjoy the comfortable weather and fresh breeze of the lakes during the warm season. Here we discuss the five largest lakes in the Lake District. A question often arises “How many lakes in the Lake District actually exists?” Though the answer is many, there are 18 major lakes in the region. 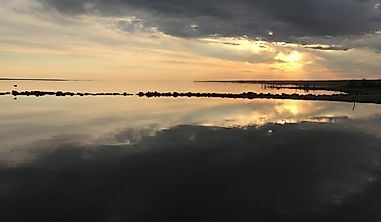 Here we discuss the top five among them in terms of area occupied and present a tabular list below about the 18 largest lakes in the Lake District. It will be interesting to note that only the Bassenthwaite Lake in the Lake District region is referred to as a lake. All the other lakes or water bodies are designated as waters, tarns or meres. Coniston Water, covering an area of 4.9 square km is the fifth largest lake in the Lake District of UK. The lake, with a maximum depth of 184 feet, drains into the River Crake. Like most other lakes in the Lake District, the Coniston Lake was also formed by glaciation. The area around the lake was inhabited by humans as early as the Bronze Age as remains of agricultural settlements from this age have been discovered here. The Coniston Lake was once owned by the monks of the Furness Abbey and was a significant source of fish for the monks. The lake has also hosted several international water speed competitions. A controversial murder case which inspired a novel “Lady in the Lake” is also associated with the Coniston Lake. The lake is a popular spot for canoeing and kayaking activities. 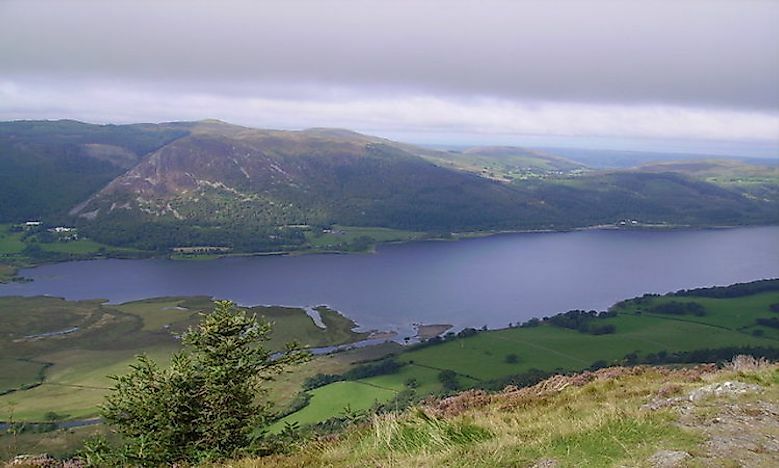 The Bassenthwaite Lake with an area of 5.3 square km and a maximum depth of 70 feet, is the fourth largest among the lakes in the Lake District National Park. The River Derwent both feeds the lake and drains it. 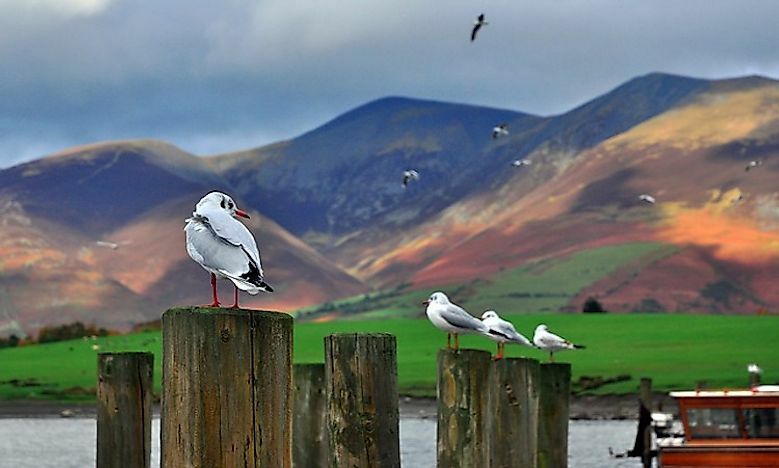 The Bassenthwaite Lake area is a paradise for photographers and birdwatchers who are attracted to the lake region for its scenic beauty and rich avifauna. The lake provides fertile habitat for agricultural crops as well as wild flora and fauna. Salmon, dace, eel, trout, minnow, pike, and roach are all found in the waters of the lake. Herons and cormorants are commonly sighted here. 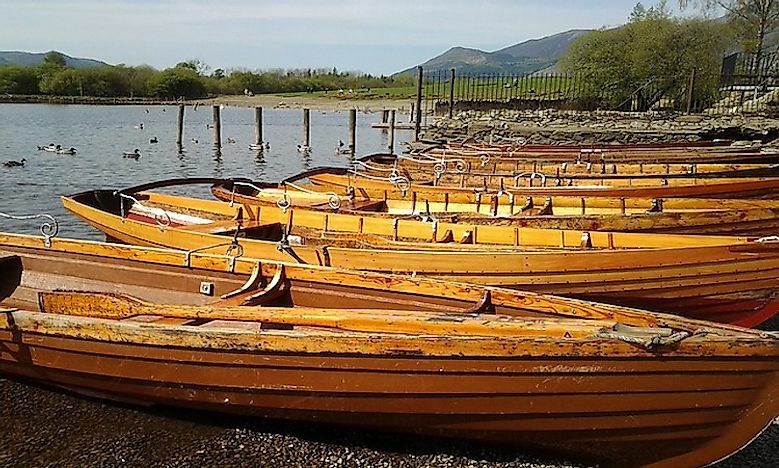 Stone axes belonging to the Neolithic period have been discovered in Bassenthwaite Lake region, signifying the existence of humans in the area during the Neolithic period. 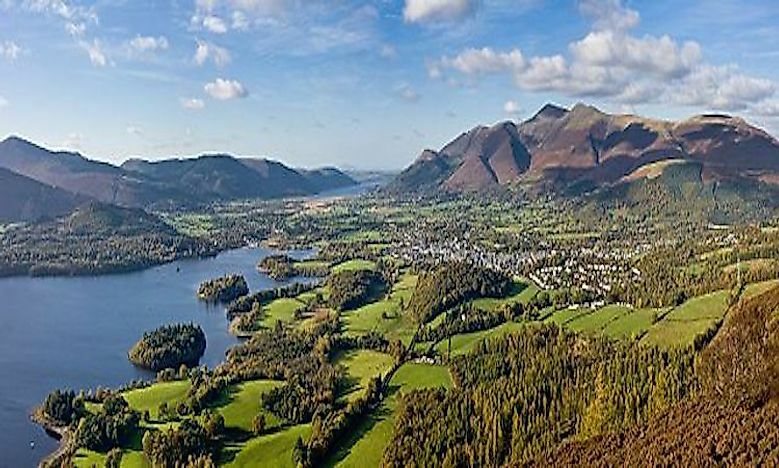 The Derwent Water, a water body occupying an area of 5.4 square km in the Lake District National Park is the region's third largest lake. 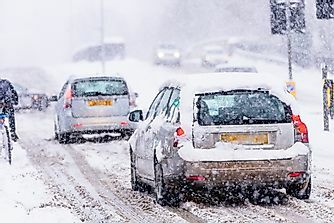 It is located in the country of Cumbria, south of the town of Keswick. Several islands lie within the lake of which one is inhabited. Derwent Water is surrounded by hills that with wooded slopes facing the lake. This setting lends a scenic quality to the lake. 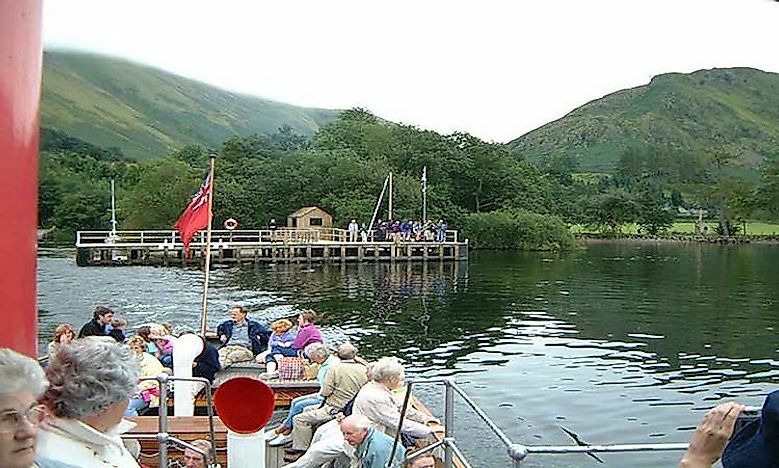 A passenger launch operating on the Derwent Water on a regular basis carries passengers from one tourist spot to another on the lake. Seven lakeside marinas that allow the hiring of boats are present at the lake. 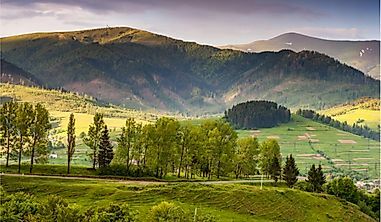 The extensive network of hills and wooded areas allow tourists to take long and pleasant nature walks in the region. The Ullswater, considered to be the most beautiful lake in England is often compared to Lake Lucerne in Switzerland. This second largest lake in the Lake District encompasses an area of 8.9 square km. The lake is a ribbon lake formed during the retreat of glaciers. Glenridding, a village located at the southern end of Ullswater is a popular tourist hub. Mountaineers wishing to climb England’s third highest mountain, the Helvellyn and other peaks put up their camps in this village. Since a long time, the Ullswater has served as a recreational spot for the British residents. Ullswater offers excellent sailing conditions and rowing, diving, and motorboat driving facilities are also present at the lake site. The Aira Force waterfall is another major attraction in the Ullswater region. 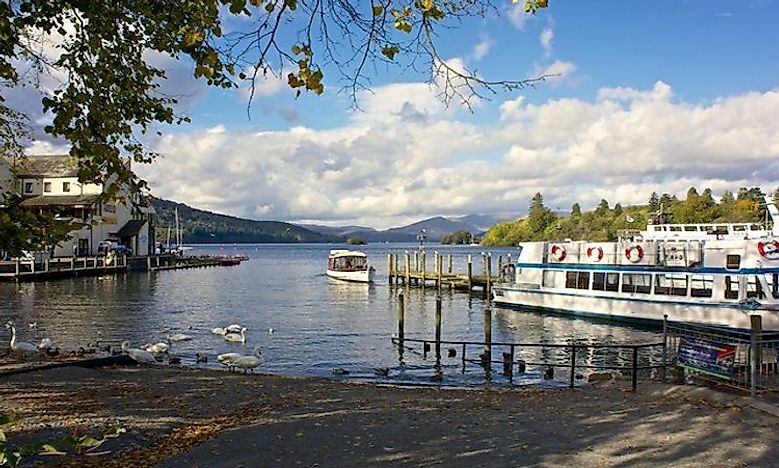 Windermere, famous for its scenic beauty is the largest natural lake in England with a surface area of 14.8 square km. The lake is a tourist hotspot, and summer homes of residents are often built along the banks of the lake. The Windermere is a ribbon lake that was formed as a result of glacial retreat leaving behind a glacial trough at the beginning of the present interglacial period. The lake now is located in the English County of Cumbria and is part of the Lake District National Park. The Trout Beck, Rothay, Cunsey Beck, and Brathay rivers supply water to the lake while the River Leven drains it. The clear waters of the Windermere and the backdrop of the foothills of the Lake District appear a pleasing sight to the eyes. It is ideal for low-level nature walks, boating, fishing, and other recreational activities. The Windermere Lake hosts 18 islands of which the privately owned Belle Isle is the largest one. 29.4% of the drainage area of the lake is utilized for cultivation. Trout, perch, char, and pike are the main fish found in the lake. Passenger services are available along the entire length of the lake, and four large boating clubs exist around it.